tics, such as eye shadow, eyeliner, and foundation, may note that a common ingredient in all of them is propylparaben. This ingredient exists naturally in several different types of plants and even in a few species of insects. However, the type of propylparaben that is found in cosmetics is created synthetically for environmental and financial reasons. The element is white in color and very fine, as well as being crystalline, like granulated sugar. Propylparaben has been used in cosmetics since the early 20th century and is an ester of p-hydroxybenzoic acid, but since it is synthetic, those who use it should be aware of its possible effects on the skin. Parabens are used in different cosmetics all over the world, and many studies have been performed about their effect on the human body. At the beginning of the 1950’s, propylparaben was widely used to slow the growth of many different kinds of bacteria, mold, and certain types of yeast so that products had a longer shelf life. 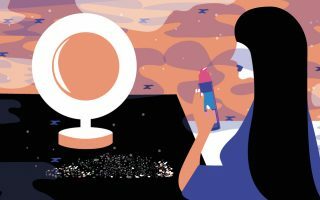 The chemical’s use has changed little since then, and many cosmetic companies utilize it in their products to make them last longer in different types of environments, especially when they may be stored in places that aren’t always cool or dry. Keep in mind that products don’t always have the same concentration of this chemical, as the formulation depends on the other ingredients and the desired texture of the final product. While propylparaben is believe to be safe, there are a number of concerns that you should be aware of. 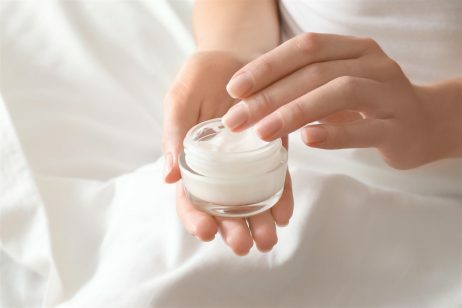 One of the main propylparaben dangers cited by dermatologists and skin care specialists is the chemical’s ability to mimic estrogen in the human body, causing an over-abundance of this hormone. Because hormones play such a vital role in the body by stimulating various biological processes, chemicals that mimic hormones can lead to a significant number of problems and pain from internal inflammation. When this happens, you may start gaining weight, retaining more fluids, and can even lead to cancer. Estrogen-related problems from propylparaben are especially detrimental to women who are pregnant or nursing, and are already facing wide hormonal fluctuations. In the mid-1980s, the Food and Drug Administration (FDA) asserted that propylparaben was a safe ingredient in cosmetics and personal care products. In most cases, levels of this chemical in cosmetic use is approximately anywhere from 0.01 up to 0.3 percent. If you’re wondering if these levels are large enough to have a negative impact on your body, there’s little reason to be concerned. However, if you combine eye shadow, mascara, foundation, and other skin care products that contain propylparaben, you may be exposing your skin to higher-than-normal levels of the ingredient. To combat this problem, start reading label ingredients when you shop for cosmetics. Choose only one or two products that contain propylparaben or make an effort to avoid combining items that contain it. You can also supplement your cosmetics collection with all natural products that do not include anything synthetic, including propylparaben. Quite a few studies have been conducted to see if a link exists between propylparaben and breast cancer, but most research has been inconclusive. While some experts believe there is a link, as parabens have been found in cancerous breast tissue, there is not enough evidence to make a solid case. If you have a history of breast cancer (or any other cancer) in your family, or are concerned about the possible link between propylparaben and estrogen toxicity, consult your doctor or skin care professional about using this ingredient safely.